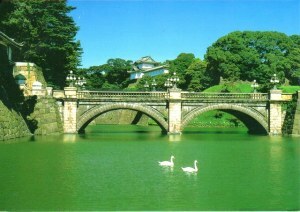 The Tokyo Imperial Palace is the main residence of the Emperor of Japan. 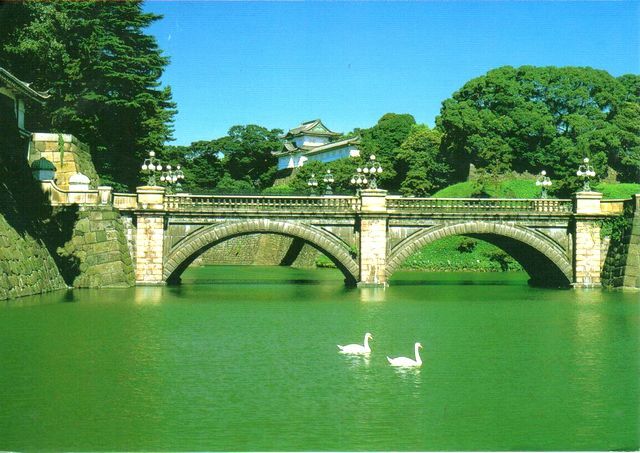 It is a large park-like area located in the Chiyoda ward of Tokyo and contains several buildings including the main palace , the private residences of the imperial family, an archive, museum and administrative offices. It is built on the site of the old Edo Castle. The total area including the gardens is 3.41 square kilometres (1.32 sq mi).